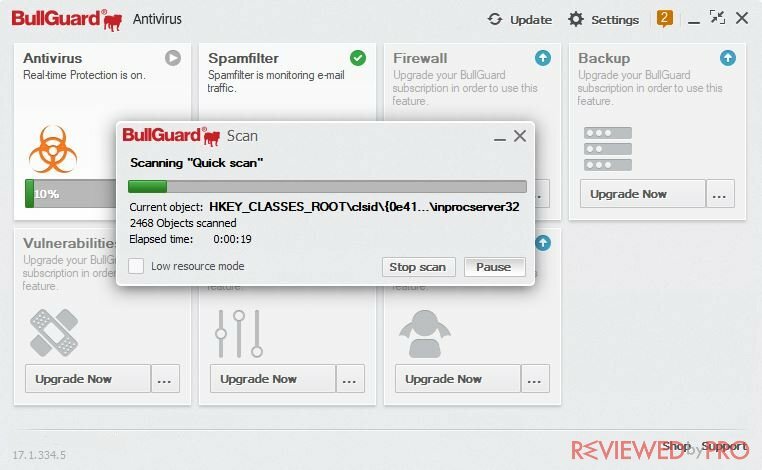 This is a user‘s guide to installing and using BullGuard AntiVirus properly. Everything here is shown step-by-step, so, you should not have any problems if you follow it carefully. 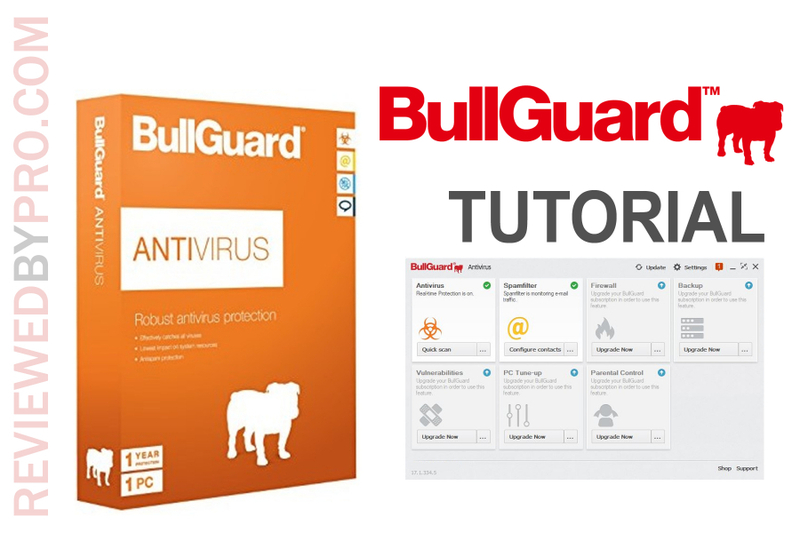 BullGuard AntiVirus requires Windows 7, 8, 10, or Vista. The computer must have at least 1GB of RAM, 850MB of free space on a hard drive and Internet connection. 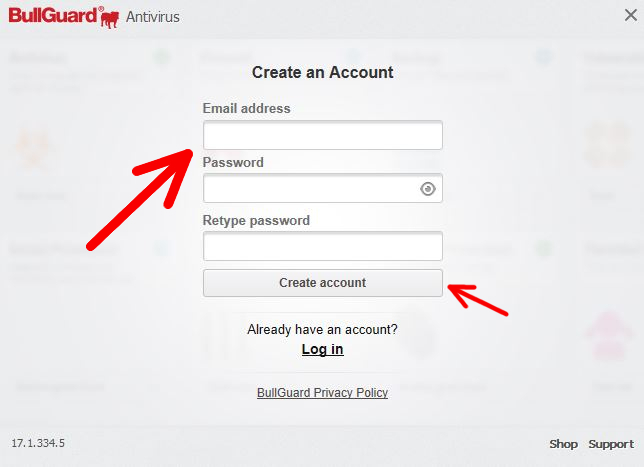 Firstly, download BullGuard from our page. After you get the installation file, open it and the download will begin immediately. 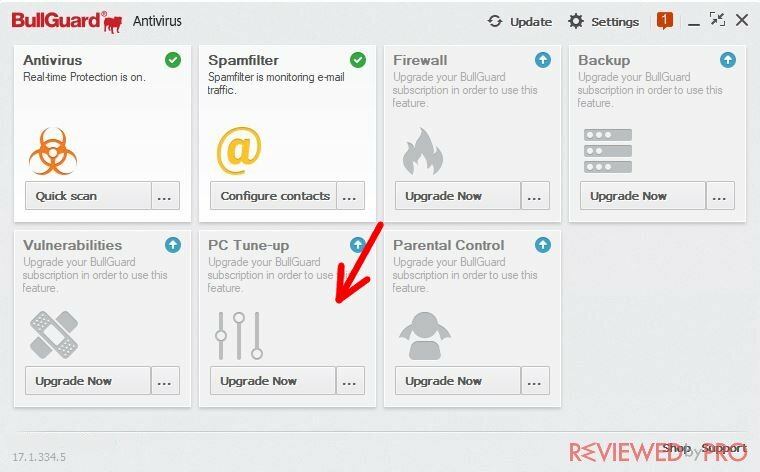 After BullGuard AntiVirus is downloaded, the installation will begin. It is short and simple, just follow further instructions to install it properly. 1. The first installation window is the terms of the license agreement. It is recommended to read these terms in order to know what you are accepting. To see the terms of the License Agreement, click “Read the License Agreement”. If you accept it, check the box and click “Install”, and the installation will begin. 2. The installer can take up to a few minutes to complete its task. The installation process is shown as a green bar at the bottom. The installation will be completed after the process is loaded. 3. In order to use the software, you will have to register an account (unless you already have an account, you need to log in then). 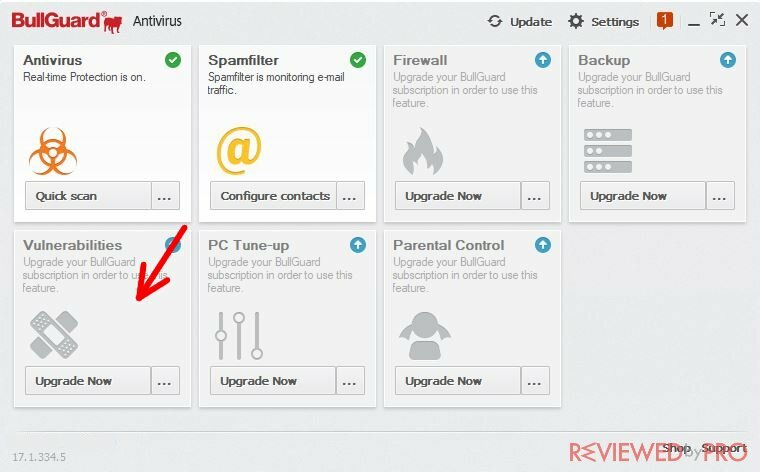 You will see the registration window when you open BullGuard AntiVirus for the first time. To register, just enter the required information and click “Create account”. 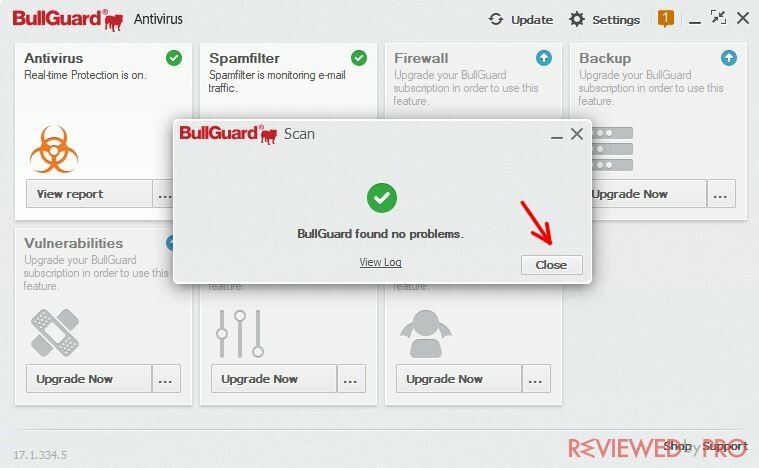 There are many useful features in BullGuard, but most of them are only available in the full version only. 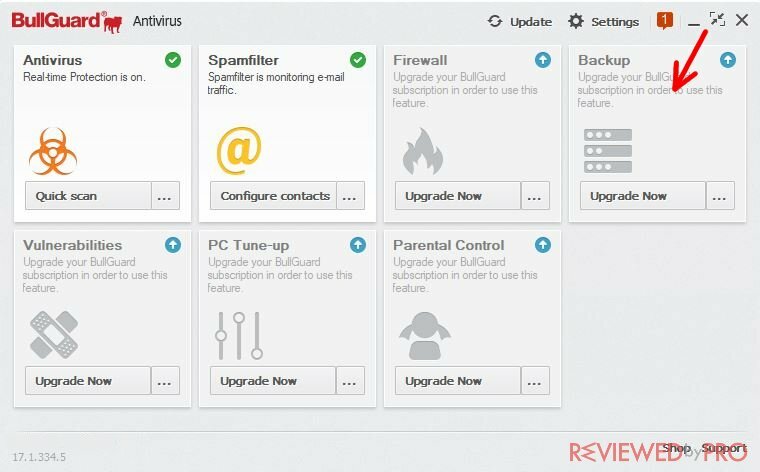 Antivirus – This is the main feature, which will let you perform a full, quick, custom scan and check the quarantine list, which has all the threats that were detected on your computer. You can choose whether you want to restore, upload or delete them. 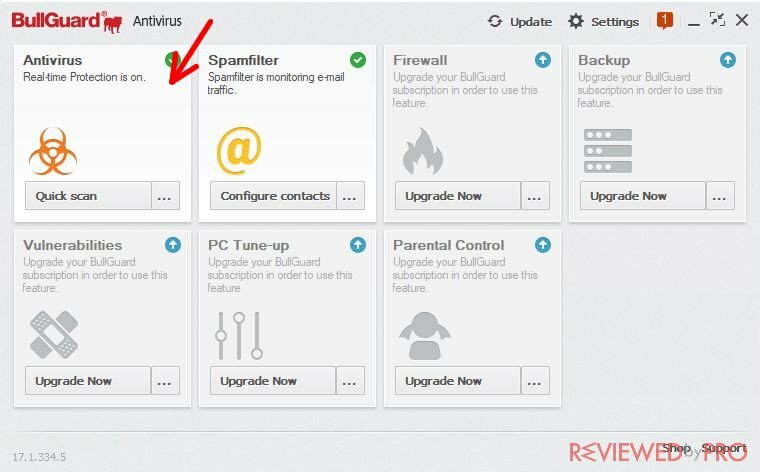 Spam filter – there you can block unwanted e-mail contacts or domains. 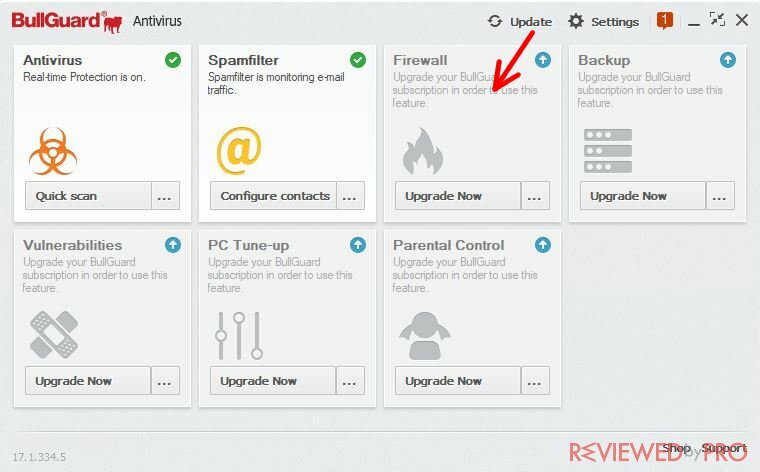 Firewall – firewall blocks various viruses and other threats online. Backup – this is a safe backup feature, which lets you protect all your information in case of an emergency. 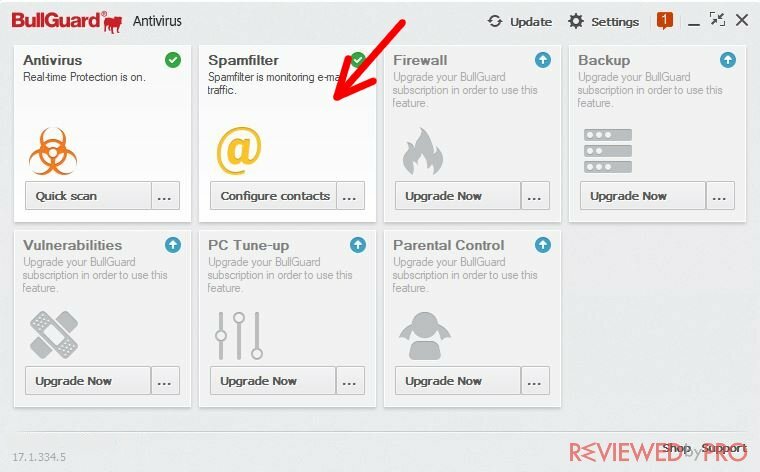 Vulnerabilities – this feature scans your computer for various security issues to ensure that viruses from the Internet would not reach your computer because of them. PC Tune-up – you can optimize your PC for better performance here. 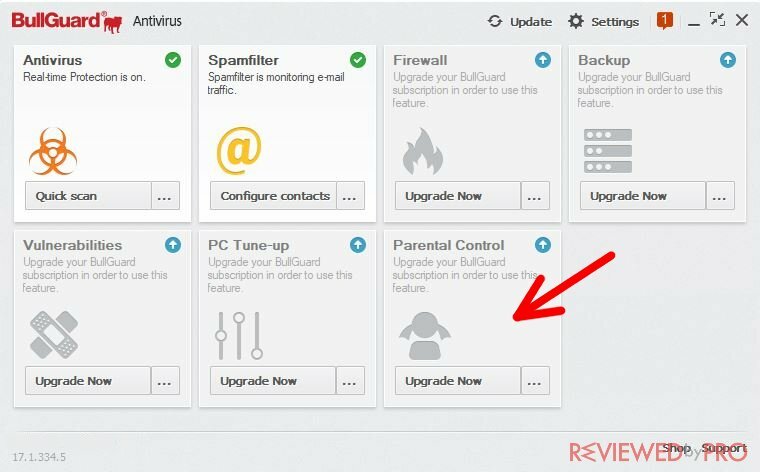 Parental Control – protect your kids from unwanted content on the Internet. 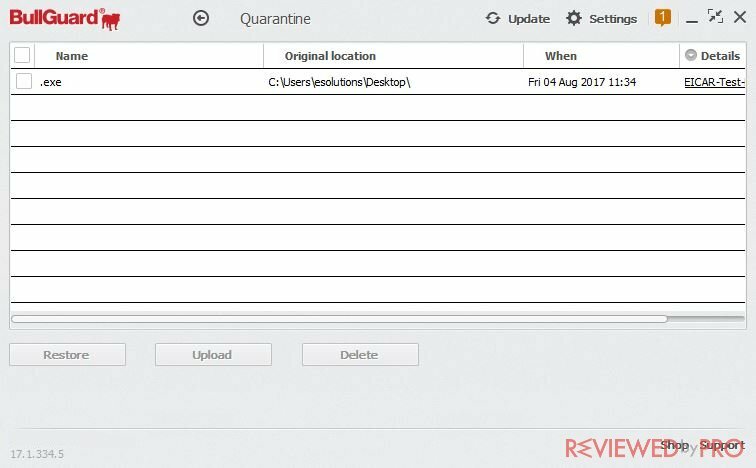 Also, in the Antivirus section, you can access Quarantine, where you can view the detected threats and decide, what you want to do with them. To perform a computer scan, open the program first. Then, in Antivirus section, open a sub-menu and choose which scan you want to perform. The scan will begin instantly. After the scan is completed, you will be able to click on “View report”, which will send you to the log screen where all the information about scans is stored. If you decide to buy this software, you can do it right here. Choose the subscription you would like to get – 6 months, 1 year, 2 years or 3 years.